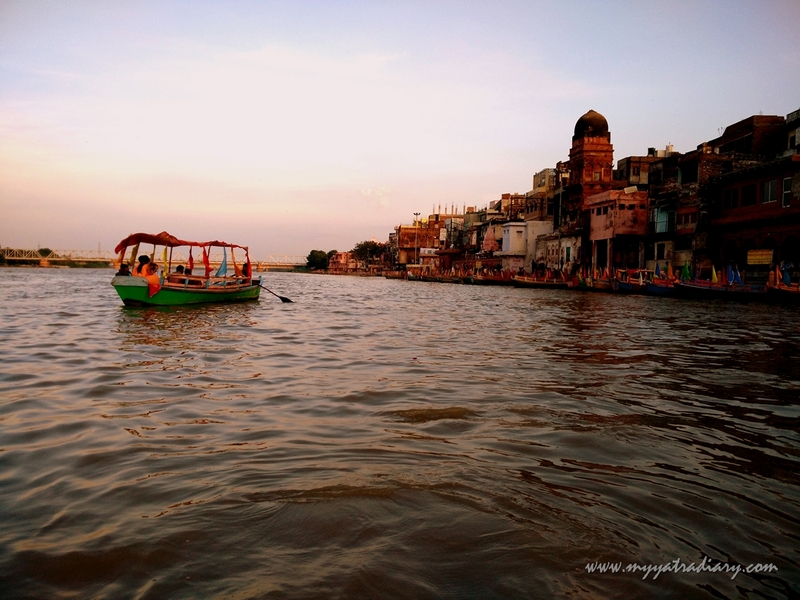 Boat Ride by the River Yamuna in Mathura. or keep low and bend. send the Universe a focussed intent. a new opportunity for us to re-invent. the journey passing through stony dents. bask in the delights of this very moment. Just row, row my friend. I have shared a close affinity with our holy rivers like River Ganga and Yamuna wherever I have been blessed to meet them with boat rides being one of my most cherished activities to do in places like Varanasi and Mathura. And you? With Krishna Janmastami, the birthday of Lord Krishna upon us in a day from now, penning this soulie from one of my boat rides in Mathura from Vishram Ghat where Lord Krishna has rested for a while after killing the tyrant king Kansa. While Kansa has long been liberated, he continues to live on often as a demon of the mind in this dark age of Kali Yuga; this soulie I hope will provide all of those among us who are fighting a battle, the brave warriors, a little respite from their battles, just like Vishram Ghat had offered respite to Krishna. Don't swim against the current. and the river is already going to the sea. This is the great teaching. Thank you for posting this. It brought back good memories during my visits many, many years ago.